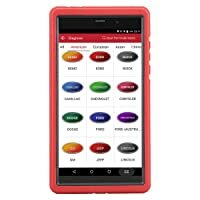 Launch X431 Pro 3 is one of the latest Android-based devices for troubleshooting vehicles. This device is an upgrade of the Launch diagnosis and it is developed for internet applications. The Launch X431 Pro 3 is a must-have vehicle troubleshooting device with specialized functionality. 4 Who Is Launch X431 Pro 3 Built For? 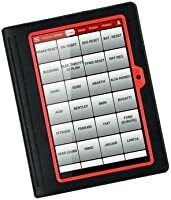 Therefore, the Launch X431 Pro 3 diagnoses a wide variety of cars. Obviously, it gives accurate test results and has powerful functions. This diagnostic device achieves a full system of the car’s model and vehicle diagnosis. It also integrates more services and applications. In addition, it is equipped with a 5.1 Android OS. Cons A little bit expensive. Compatibility issues (should be checked carefully before buying.) Almost none. Bottom Line Launch X431 Pro 3 is for you if you're a shop mechanic or an experienced enthusiasts. Launch X431 Pros Mini is an excellent pick for car enthusiasts and shop mechanics. Autel MS906BT is designed and built for mechanics or experienced enthusiasts only. The Launch X431 Pro 3 is compatible with diesel and heavy duty gas-fuelled vehicle models of 12 Voltage and 24V. It is also compatible with vehicles built in America, Europe, and Asia and individual software of these vehicles. It also integrates services and applications like remote assistance and instant messaging. 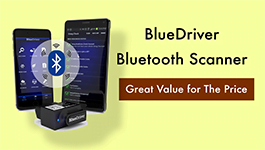 In addition, the device has been inbuilt in a way that it is compatible with workshops via Bluetooth and wireless connectivity. The Launch X431 Pro 3 diagnoses a wide variety of cars. An online repair database which is free. Moreover, it comes with an inbuilt Wi-Fi module which enables free internet browsing. 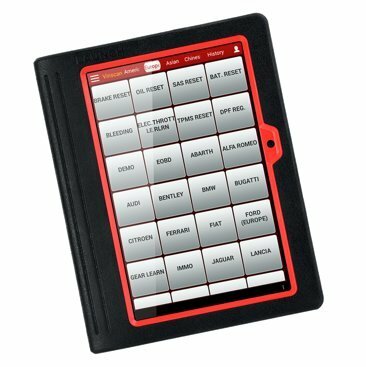 You can also send and receive emails on this troubleshooting tablet. The Launch X431 Pro 3 has an HD display of 10.1 inches with an LCD resolution of 1200 by 800. It also has capacitive touchscreen properties. ECU coding – New code modules which work with your car’s system like ABS units, Fuel injector, Airbag module etc. Clear fault codes – Also clear warning lights like engine lights, airbags etc. Real-time diagnosis – Offers real-time diagnosis for Golo users. Auto search and VIN recognition. Provides description- It does this by reading fault codes. The Launch X431 Pros 3 troubleshooting device is highly recommended. This is because this device offers accurate testing results. With this device, it’s not only possible to do remote troubleshooting but also connect vehicles with workshops for Golo users. The device is also recommended since it offers fast and reliable results for a wide range of vehicles. This is because the device has access to a car database and repair tips. Another why we recommend this device is that it integrates services and applications. Who Is Launch X431 Pro 3 Built For? Launch X431 Pro 3 is built for professionals and garage shops. Besides, enthusiastic car owners will find it a great choice. The Launch X431 Pro 3 is a must-have vehicle troubleshooting device with specialized functionality. It offers accurate test results and enables remote diagnosis. 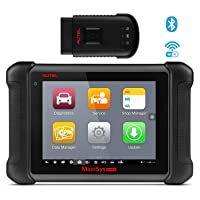 Autel Maxisys MS906TS is packed with all the features needed for use in a professional auto shop. Read my honest review for more information about it NOW.